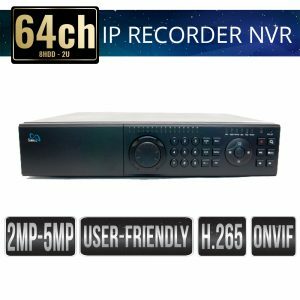 64 Channel NVRs (Network Video Recorders) support 64 IP security cameras High Definition. 664 Channel NVR Video Security complete with embedded user-friendly GUI. Quality security recorders perfect for high profile security installations. Sibell Network Video Recorders are plug and play with Sibell IP cameras as well as ONVIF security cameras, providing performance paired with intelligent IP camera management capabilities for a professional and please experience.